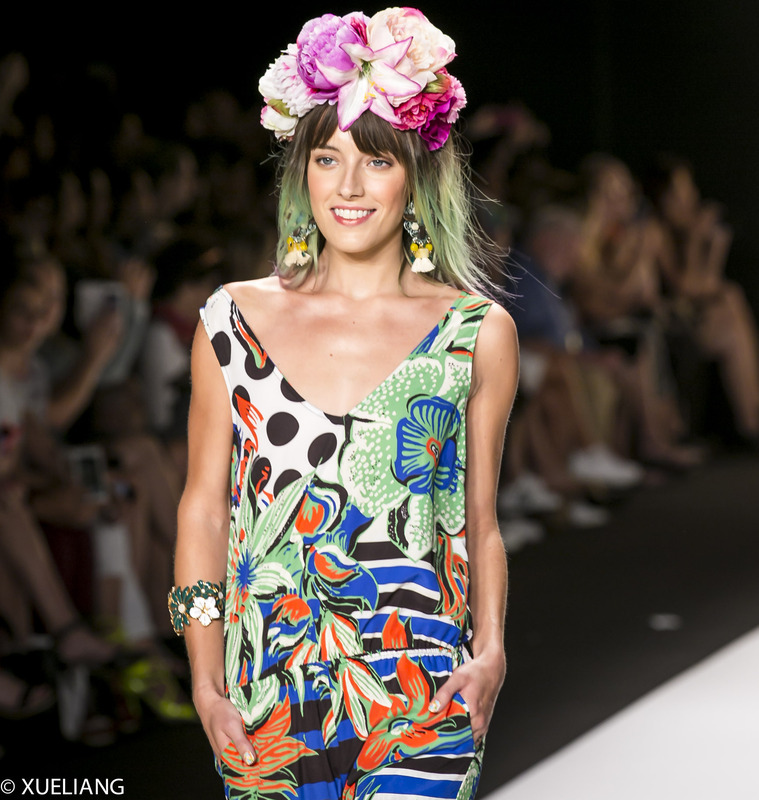 Desigual’s Say Something Nice S/S 15 Collection was notably one of the most colorful runways we have seen in Lincoln Center during Mercedes Benz Fashion Week. Fashion designer Monsieur Christian Lacroix portrayed the “happy casual” women when he created the collection that was inspired by nature’s flora and fauna. It celebrated the season’s warm weather with daisies in bloom, desert roses, tropical hibiscus and Mexican dahlias; flowers cut from an imaginary garden. The collection was full of energy, bold colors and patterns, and playful accessories. Each look included its unique tropical floral print with splashes of poppy red, saffron or teal. The pieces were very casual, no more or less than blouses, skirts, shorts, dresses and several jumpsuits. 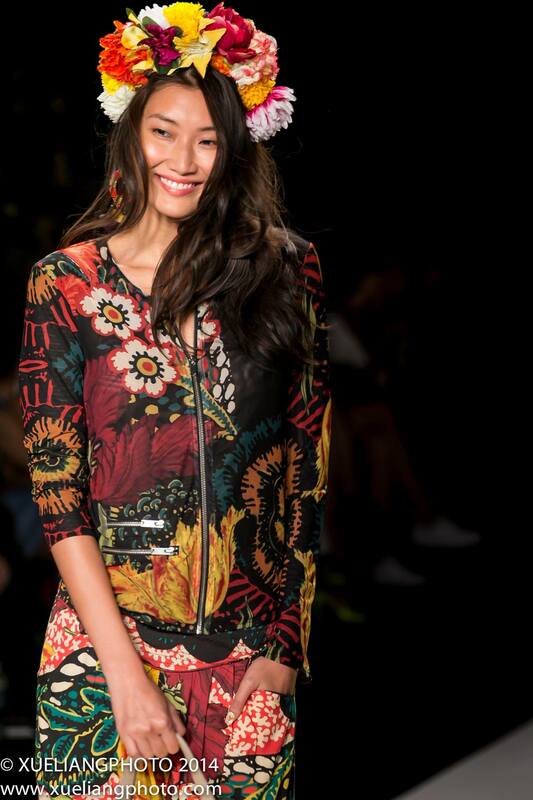 Desigual’s S/S 15 line made you want to take a cruise to the Mediterranean, as you can easily look effortlessly glamorous with any look from the collection during your vacation. Each look was accessorized with individually crafted flower crowns, long earrings, and the same sandals made in different colors matched according to the outfits. The makeup on the models appeared young and fresh, with dewy skin and the prettiest flush of color across the cheeks. Each model walked down with bubbly and sassy personality lead by Brazilian supermodel and Victoria Secret Angel Adriana Lima, who opened and closed the show. Several celebrities made appearances in the audience, including model Poppy Delevingne, fashion icon Olivia Palermo, and actor RJ Mitte from the popular TV Show Breaking Bad. This entry was posted on Wednesday, January 31st, 2018 at 6:36 pm	and is filed under Events, Fashion. You can follow any responses to this entry through the RSS 2.0 feed. You can leave a response, or trackback from your own site.